The Grants Office will send the next round of monitoring reports in April 2014. Those organizations with Letters of Agreement (LOAs) know that the Grants Office requires notification of planned visual or structural alterations to the property. When reporting, include information about any work done since the last monitoring report (end of 2012). Contact Becca Johnson, 651-259-3468, for more information. With the grant, Oyate Nipi Kte was able to design, publish, and distribute two children's stories in the Dakota language. These books included the Dakota language stories "Keya Zuya Ya" and "Odowan Sigsicedanka." The books include original illustrations as well as the English translations in the Appendix. The former Partnership grants program has been revised and expanded into the Heritage Partnership Program. Check out the guidelines for information on eligible projects. For FY 2014 there is $400,000 available to award; there are no budget caps, but proposals must justify all project expenses. Deadline for required pre-applications: Friday January 24, 2014. Questions? Contact the Grants Office. With brushes and backhoes, archaeologists document the locations of former buildings. What can their work tell us about structures that were once part of our communities? How can archaeology inform our understanding and interpretation of existing historic buildings? Using examples from Minnesota excavations, this presentation demonstrates the preservation benefits of doing the archaeology of architecture. Great news for Le Sueur County Historical Society's budget. Feedback on a Legacy project in New Ulm. What is the relevance of history? What we can learn from our Australian colleagues. Defining public history in the United Kingdom. Changes needed for PhD.D. 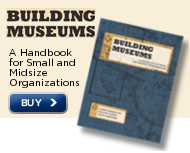 programs to work in museums. Has the industry gone too far in making museums kid-friendly? A post in support of kid-friendly museums. Have we dumbed-down museums in order to make a profit? New Harmony State Historic Site, New Harmony IN, seeks Assistant Collections Manager. Deadline: January 20, 2014. Hanford Mills Museum, East Meredith NY, seeks Summer Education Intern. Deadline: March 29, 2014. Historical Museum at Fort Missoula, Missoula MT, seeks Executive Director. Museum of Texas Tech University, Lubbock TX, seeks Collections Manager for the Anthropology Collections. Position open until filled. History Center of Olmsted County, Rochester MN, seeks Archivist. Position open until filled. Carver County Historical Society, Waconia MN, seeks summer intern, focusing on marketing and long range planning. Contact Wendy Petersen Biorn, 952-442-4234, for more information. Calls and applications accepted February 1-28, 2014. Steele County Historical Society, Owatonna MN, will host an educational meeting for their volunteers, Thursday January 16, 2014, 6:30 p.m. Learn more about the Village of Yesteryear! Call Dodie, 507-451-1420, for more information. Hamline-Midway History Corps, St. Paul MN, meets Saturday January 18, 2014, 2-4 p.m., Ginkgo Coffeehouse. St. Cloud Area Genealogists meet Tuesday January 21, 2014, 7 p.m. to discuss St. Cloud Diocese Church Records. Contact Dan Schroeder, 320-685-3629, for more information. Goodhue County Historical Society, Red Wing MN, will hold its Annual Meeting on Sunday, January 26, 2014, 2 p.m. Call 651-388-6024 for more information. Scott County Historical Society, Shakopee MN, announces their reopening celebration, Saturday February 1, 2014, noon to 2 p.m. Tour newly remodeled spaces and new exhibit galleries. Call 952-445-0378 for more information. Ramsey County Historical Society, St. Paul MN, announces a free exhibit at the Bloomington Civic Plaza Lobby, Bloomington MN. "They Played for the Love of the Game: Adding to the Legacy of Minnesota Black Baseball," opens February 3, 2014. Call 651-222-0701 for more information. Anoka County Historical Society, Anoka MN, continues their monthly Civil War lectures with "Civil War Monuments," Thursday February 6, 2014, 7 p.m., Chomonix Golf Course Clubhouse, Lino Lakes MN. Photographer Doug Ohman will share photographs and stories of Civil War monuments across Minnesota. Call 763-421-0600 for more information. Ramsey County Historical Society, St. Paul MN, announces the opening of "Faces of the First: Contemporary Civil War Portraits of the First Minnesota Volunteer Infantry Regiment," February 6, 2014, Landmark Center RCHS Gallery. Free. Call 651-222-0701 for more information. Minitex offers an online course in "Managing Digital Content Over Time: An Introduction to Digital Preservation," February 5 and 19; and March 5, 2014, 10 a.m. to noon CT. Register online by January 31, 2014. Iowa Museum Association seeks proposals for breakout sessions at their 2014 Iowa Museum Association Annual Meeting and Conference, October 12-14, 2014, Cedar Rapids IA. Deadline for submissions: March 10, 2014. Contact Cyndi Sweet for more information or to submit proposals. Jefferson Highway Association will hold its 2014 International Conference in Park Rapids MN, May 30-31, 2014. Landmark Center, St. Paul MN, kicks off its 10th anniversary of the popular Urban Expedition program with a 'trip' to Spain, Sunday January 19, 2014, 1-3 p.m.
National Trust for Historic Preservation announces that the Richard H. Driehaus National Preservation Awards program is now accepting nominations for the 2014 award program. Deadline: March 3, 2014. Dorothy Molter Museum, Ely MN, is pleased to note that Dorothy Molter, the last non-indigenous resident of the Boundary Waters Canoe Area, is featured in Minnesota band Tree Party's latest CD, "Iced Over: Thawing Minnesota's Local Lore." Minnesota State Historic Preservation Office has a number of cardboard magazine holders available. Free. Contact Michele Decker, 651-259-3450, for more information or to arrange pickup. Historical and Cultural Society of Clay County, Moorhead MN, hosted "Spin-In Roc Day," a day of spinning, knitting, felting and other fiber arts. What does your local history organization do in partnering with arts organizations for hands-on learning? Photo courtesy of Historical and Cultural Society of Clay County. Scholarships are available to the 2014 AASLH Conference, St. Paul, MN. When I Was a Child, by Vilhelm Moberg, translated and abridged by Gustaf Lannenstock. Available in February 2014 from Minnesota Historical Society Press.